Chinese carrier Ruili Airlines and two leasing companies have placed a $6 billion order with Boeing for 60 narrow-body jets, the official Chinese news agency Xinhua reports. If you want to get super specific, the total transaction is worth more than $6.1 billion (or 38 billion yuan). 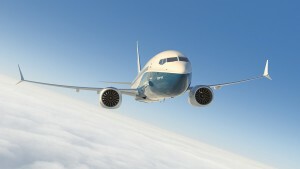 According to Boeing’s website, Ruili’s purchase will encompass 737 MAX 7, 8, and 9, jets costing $87.7 million, $106.9 million, and $113.3 million, respectively. The order will aid in expanding the one year-old Yunnan-based budget carrier’s fleet to 56 jets, up from a dismal five, within the decade. Avic International Leasing and Minsheng Financial Leasing are the leasing companies that inked the agreement, in association with Ruili Airlines.